For generations, schools have aimed to introduce students to a broad range of topics through curriculum that ensure that they will at least have some acquaintance with most areas of human knowledge by the time they graduate. Yet such broad knowledge can’t help but be somewhat superficial—and, as Kieran Egan argues, it omits a crucial aspect of true education: deep knowledge. Real education, Egan explains, consists of both general knowledge and detailed understanding, and in Learning in Depth he outlines an ambitious yet practical plan to incorporate deep knowledge into basic education. Under Egan’s program, students will follow the usual curriculum, but with one crucial addition: beginning with their first days of school and continuing until graduation, they will eachalso study one topic—such as apples, birds, sacred buildings, mollusks,circuses, or stars—in depth. Over the years, with the help and guidance of their supervising teacher, students will expand their understanding of their one topic and build portfolios of knowledge that grow and change along with them. By the time they graduate each student will know as much about his or her topic as almost anyone on earth—and in the process will have learned important, even life-changing lessons about the meaning of expertise, the value of dedication, and the delight of knowing something in depth. 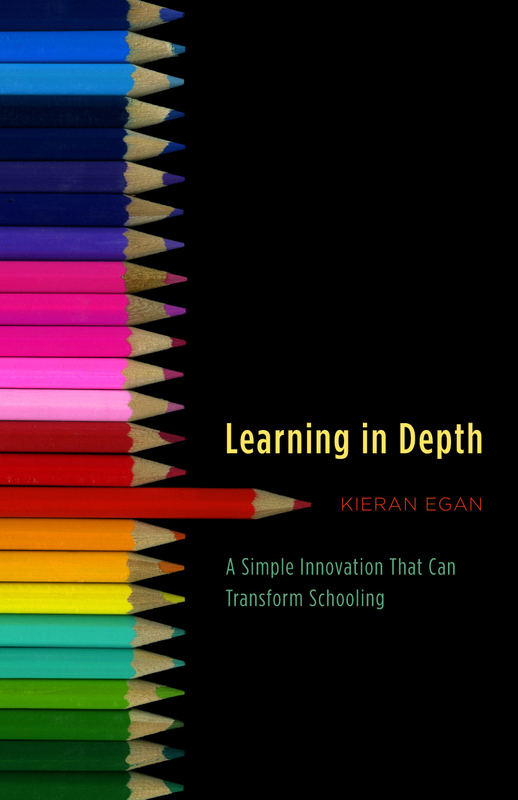 Though Egan’s program may be radical in its effects, it is strikingly simple to implement—as a number of schools have already discovered—and with Learning in Depth as a blueprint, parents, educators, and administrators can instantly begin taking the first steps toward transforming our schools and fundamentally deepening their students’ minds. 7 What Do We Do Next? "What fun! . . . The book gave me lots of ideas. . . . Quite wonderful."